Monoliths have been found all over the world. The big question is where did they come from and how did they get there? That is a question ancient alien researchers have been asking for many years. There are many different monoliths with many different theories of why they are there. Some believe they are maps left by aliens to remember certain parts of the world. Other people believe that they are places that people built to worship Gods or aliens. The truth is we may never know because there are no recordings by anyone who supposedly built the monoliths. So how do we learn where the monoliths came from and who built them? The best researchers can do right now is study there locations and try to figure out the significance of their placement on earth. 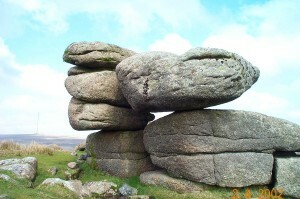 Monoliths are solid rock structures that are strategically placed all over the world. There are monoliths in America, Korea, Egypt, and many other locations. The greatest monolith could be the Giza in Egypt. That is a series of pyramids that are made in transformation with the alignment of the stars. Giza is the third largest city in Egypt. That is where this amazing monolith is located. People come from all around to see the amazing site. This is where the great sphinx is located. This is over a hundred tons of solid rock carved to look like a sphinx. It is a mysterious site to see. It is manmade though and has been proven to be. The great pyramid of Giza is located on the prime meridian. This is the base of all locations. All longitude and latitude locations start right there. This is a strange coincidence in its own. How would one person know to place such an amazing site on this exact location? Could it be that aliens showed our ancestors where to place this great monument which over looked Cairo Egypt? That seems to be a logical explanation for some people. Ancient alien researchers have been trying to prove this for years. Our earliest ancestors were not capable of such feats as building and placing the great pyramids of Giza. Rome is the home of many different monoliths. Some of them are not even named. They are just large stone structures found among the ruins of ancient Rome. Ancient alien researchers believe that they are also symbols of places that were visited by extraterrestrials thousands of years ago. Could this be the answer to all of our world’s mysteries? Were monoliths places here to represent alien life forms that our ancestors knew as God? This is an explanation that many people choose not to believe because it is scary and unknown. How else can you explain some of these strange occurrences? The strangest part of monoliths is the shape that they are in. They are usually shaped in some kind of circle. Some monoliths are actually shaped exactly like our solar system. Some are shaped in calendars such as the Mayan calendar. This does not give astrologers and researchers a lot to go on. ← Do Aliens Live Among Humans? Underwater alien bases Underwater alien bases have been explored relatively to a good extent, though their popularity has been relatively lower, and the subject has been seen as a less important facet of UFO exploration. This is because no hard evidence .